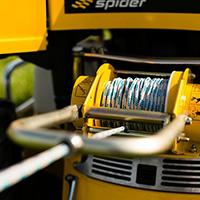 The Spider is a remote controlled self-propelled mower for the maintenance of steeply sloping areas such as embankments, roadsides and hillsides; areas that are otherwise typically maintained by teams of brush-cutter operators or tractor-powered reach mowers. Although referred to as a mower, “it performs more like a remote-control slasher”, is a regular comment from those attending demonstrations. It capable of cutting waist-high growth, thick and wet kikuyu, weeds and small shrubs and plants. 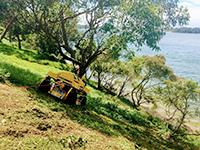 The Spider Mower cuts slopes up to 40 degrees with its 4 wheel drive lugged tyres, and up to 55 degree slopes with its optional winch system. 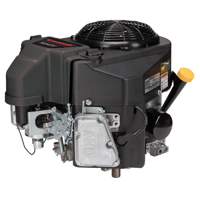 The mulching blade is set well within the deck body to minimise the ejection of grass and debris during mowing. The blade is thick hard blade steel.